I had a free night and decided to just have some fun for me. I was PMSing and completely over everyone and everything so just wanted to mess around. I decided to start completing the old raids that show as incomplete in my armory. I had thought I had completed more, but I guess over time I forget which toons I have taken where. No idea how people keep up with multiple alts to be honest. I started with Sunwell. We had just started this when it was current but never even got the first boss down before it was time to move on. So whilst I had done some of the bosses since in random PUG’s I had never actually gone to the end. I headed to Heroic Trial of the Grand Crusader as I apparently needed the 2 bosses in the middle. I have done this raid so many times (I thought heroic) that I was so surprised this was on my list. I did score some new achievements but it really only took about 15 to get through it all and most of that was me forgetting to talk to the guy to start the next even. OMG Blizzard…soooooo annoying. 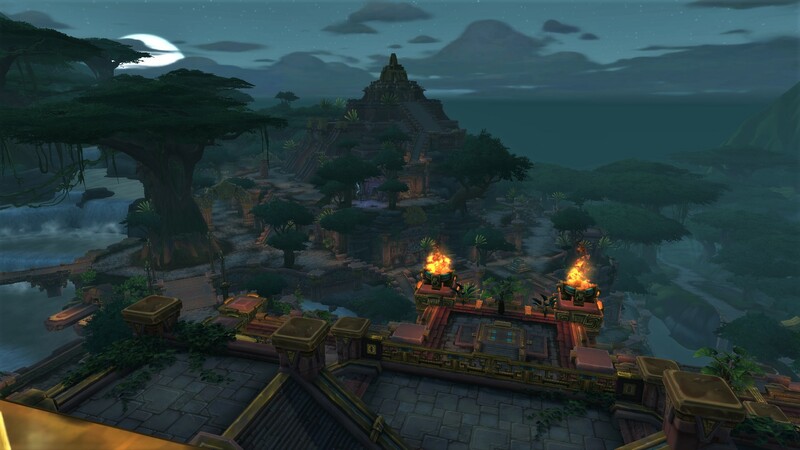 So those to bring me up to date with all the old content and I now have to work on Mists of Pandaria (where I took my first big break) and catch up on basically all the raids. I have all the LFR’s done so I clearly did some of the content. Most of the rest is muddled with half raids and no normals. So I started with Mogu’shan Vaults which I needed in normal mode. I swear I have done this raid so many times on my mage, but I can only assume it was in heroic? No idea – I might have to check my stats when I am in game next time. No pictures because I have done it so many time. Then I headed to Terrace of Endless Spring. I remember doing the first 3 in the past and I honest to god know I have done the Sha, but I do not – for the life of me – remember doing that room at all. I forgot about Tsulong and after the first boss ran up the stairs… I did remember when I saw Lei Shi inactive that there was a second boss I needed to kill. I even remembered to stand in the yellow spot. Lei Shi was “difficult” it just took so long to do enough damage to her. The Sha killed me 3 times and on my “I am giving up after this if I die again” attempt, I managed to kill it. I was struggling with the spawns that attack when there was multiple – as I just couldn’t get them both for whatever reason. Eventually I smashed it in the face. This one took me the longest I think. Then I headed to Heart of Fear. This is how I spent most of my time in there. I know I have been here, I vaguely remember it. I have done it on LFR. Clearly I know bits of it. I was so confused and lost and just trying to kill things with high damage and not worry about mechanics. That basically worked and I only died on the last boss once because I got feared was being attacked from behind and on Amber Shaper because I didn’t kill the add when it spawned and it did some weird thing to me which I died on. I made sure he paid for it next time. I am hoping to get a few more knocked over before reset. I am still chasing gear off them which is why I don’t want to just go in and complete them all in a lock out. I would rather loot them in the different difficulties. I was actually quite surprised how hard it was to kill some of the bosses in all the raids. I thought I would just walk in and smash them fast, but it actually took a long time, like my damage was just not as high. It was weird and disconcerting. I did walk away with a metric tonne of tier gear and other randoms added to my appearance tab which was fantastic, I just have to hunt down the rest of the set pieces. I might start with MC soon and work my way up as I still have pieces I need in there, maybe I can tag along with Ben if he is still doing them. So based on my armory profile I am now sitting ok with Pandaria. Just need to get a Throne of Thunder done, likely normal since I am half way and clearing out the last of Heroic Siege of Org shouldn’t take too long. I am really going to struggle with completing anything in Drainer. Screw that place. I also have to figure out how to get into the LFR for Hellfire. I read somewhere you speak to someone and he solo queues you. I just have to find out who and where. I know it says I have done them but I can tell you, I mostly remember Highmaul, but I quit after that raid so the other times were literally probably being dragged through by people. That is going to be fun to get complete.